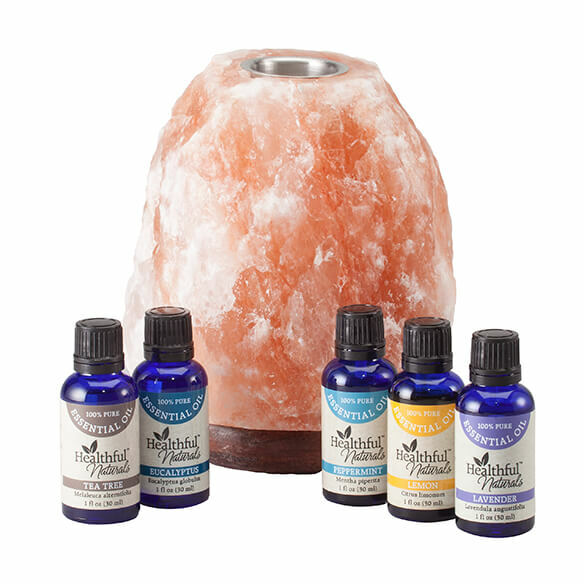 Healthful™ Naturals Himalayan Salt & Essential Oil Basic Kit transforms your body, mind, and living space through aromatherapy and Himalayan salt. The electric lamp is hand-carved from pure Himalayan salt, which emits negative ions to help naturally purify the air of allergens and pollutants. Simply add essential oil to the small plate on top, adjust to your preferred amber glow, and relax and restore. 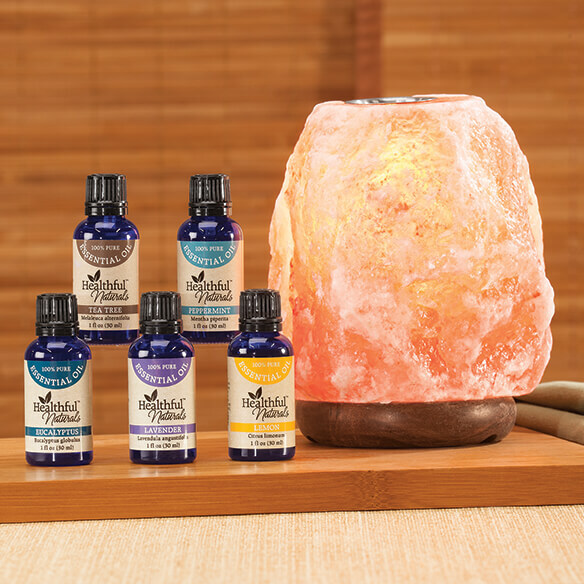 This exclusive collection includes our 2-in-1 dimmable salt lamp and essential oil diffuser, along with 5 essential oils. Includes lavender for relaxation, eucalyptus to support respiratory health, lemon for positive energy, peppermint for a soothing menthol aroma, and antimicrobial tea tree to support the immune system. Lamp diffuser is approx. 5 1/2” dia. x 9 1/2” H.